We have several large antique chandeliers within our antique lighting range which are near or over 120 cms drop . 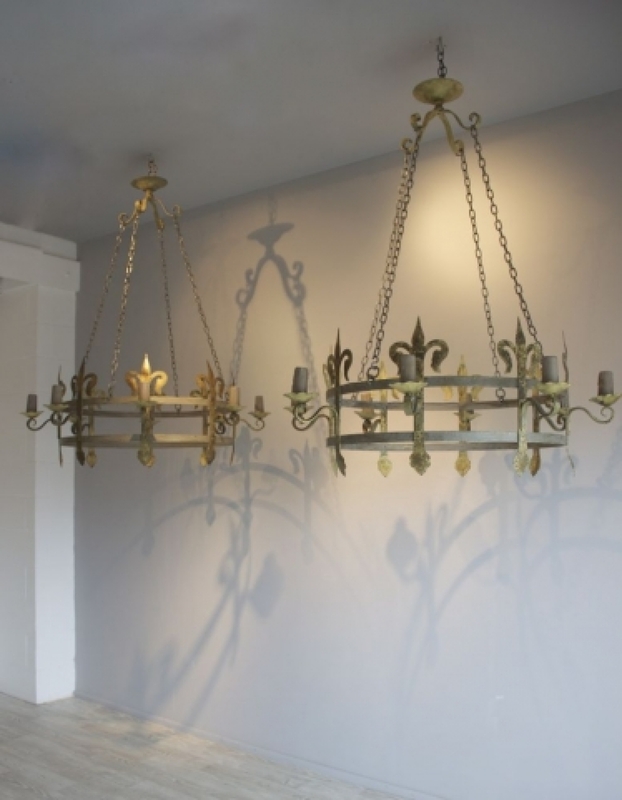 These are great for grand stairwells and large hallways creating a focal point above head height and bringing in a wow factor to a very high ceiling . 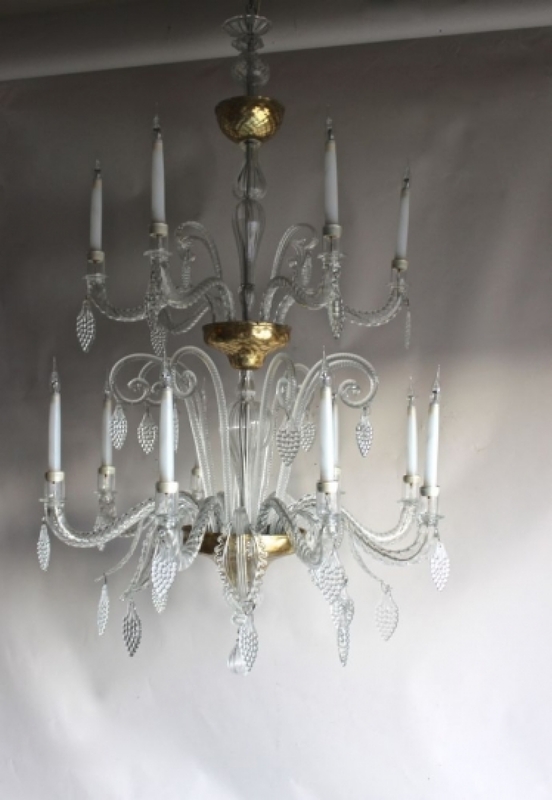 They are of course more expensive than the smaller ones but will hold their price at auction . 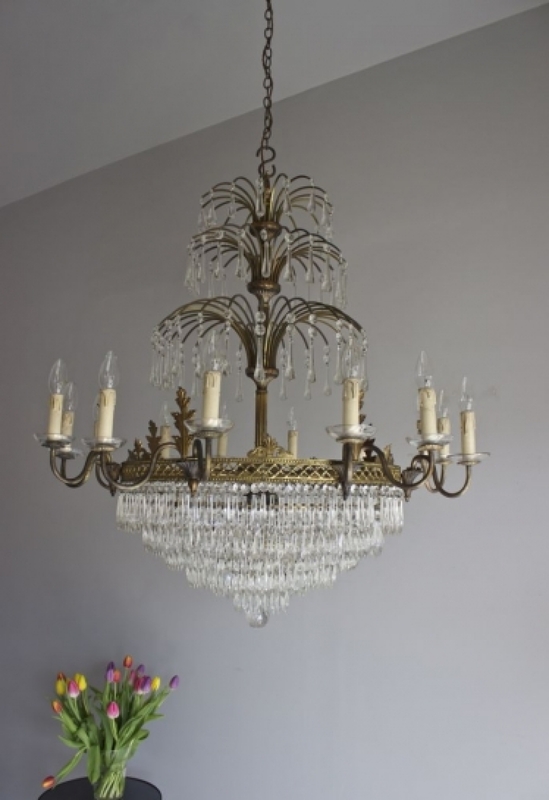 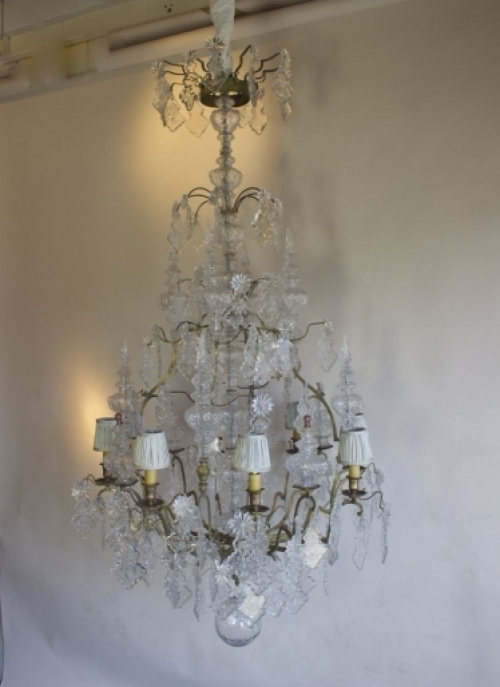 One of the largest we have was added today and is certainly a stunner , check it out on our website , antique chandeliers . 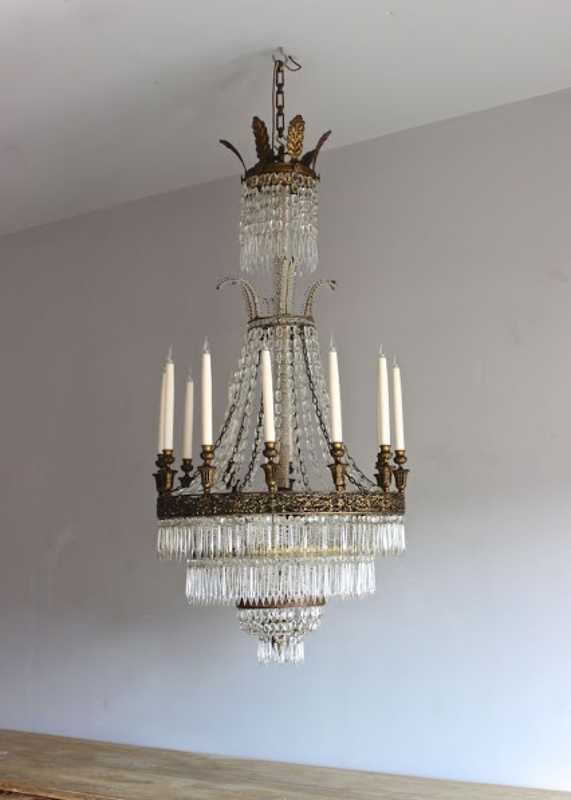 Large chandeliers require expert fitting and we do recommend are wonderful fitting company ( email us for details ) we have used them for years and they do fit all sorts of chandeliers , like wise cleaning which needs to be done by experts . Before buying a large chandelier its important to know your ceiling height and where your joists are and if the stairwell is accessible for a tower . 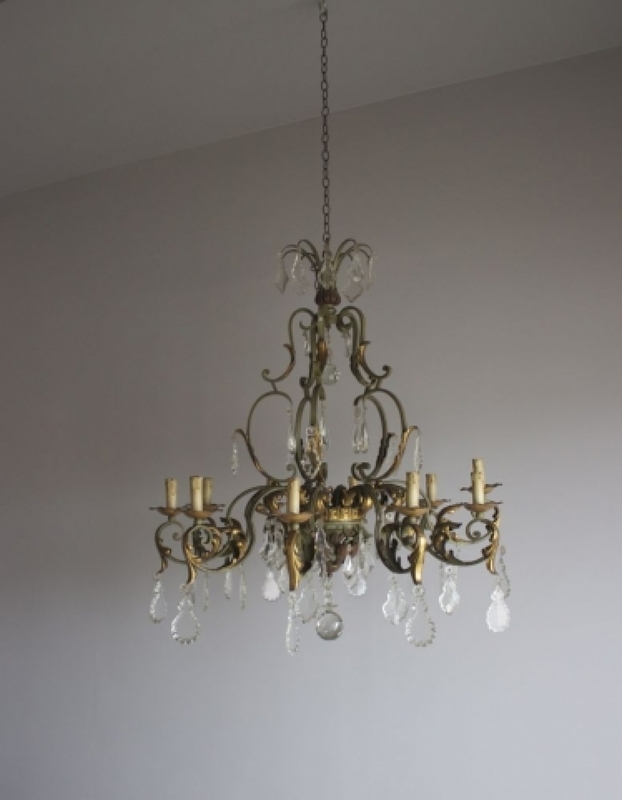 Chandeliers of this size come in large wooden frames so please check on door widths as well .